Creative expression is the sign of an active, engaged, and expanding mind. 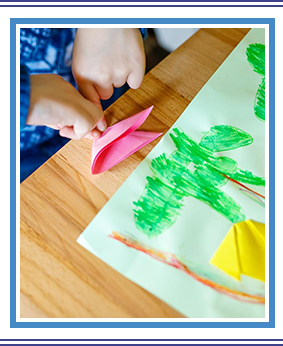 In the Montessori environment, we encourage creativity in every aspect of learning. Welcome to our student art gallery. To protect student privacy, we only publish artwork that does not have the student's name on it. If a name is on the artwork, we will publish it only if you gave us permission to do so at the beginning of the school year when you completed your enrollment application. We label the artwork with a unique number (instead of names), which we send home with your child. Contact the office if you are unsure what your child’s number is.